We are inviting you to attend our engagement events as part of the preparations to recommission Croydon Council’s Community Fund. On 8 April we launched the Council Voluntary and Community Sector (VCS) Strategy 2019-2023 (www.croydon.gov.uk/voluntarycommunitystrategy). It outlines how the council wants to work in partnership with VCS organisations and groups. The priority outcomes and commissioning principles set out in it provide a framework for prioritising our support and allocating resources to the sector. Our next step is to shape the process for recommissioning the Community Fund. 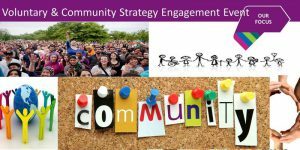 We are holding a number engagement events to provide VCS organisations and groups an opportunity to shape both the commissioning approach and the support the council will offer to you during the commissioning process. We want to know what support you need so that we can develop an offer that meets your needs. We welcome your input to ensure that council processes are as straightforward as possible, do not create unnecessary barriers, and enable you to collaborate with others in the sector and achieve successful outcomes for Croydon’s residents. At Part 1 events we will clarify the support you need and gather your views about the commissioning process. Please attend one Part 1 session and one Part 2 session (all Part 1s are the same and all Part 2s are the same). Please choose from the dates below and book your place. We value the input of the Croydon VCS highly and hope you will attend to enable us to take account of your views in developing our approach.